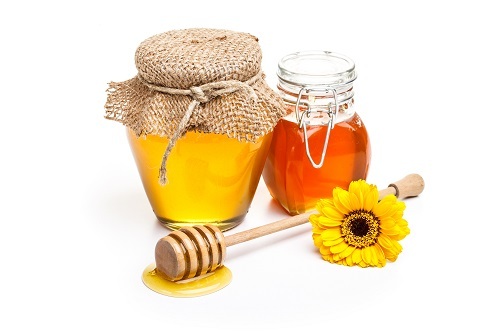 According to the watchdog consumer group Hong Kong Consumer Council, nine brands of Manuka honey sold within the territory, including a brand that bills honey at over $165 per jar, were discovered to have included other sweeteners in their products, such as cane sugar. This finding came after the watchdog group tested 35 different honey products as well as ten different types of Manuka honey. For example, the report stated Natural Bee Honey contained a maximum of eight antibiotics, including metronidazole, a substance that can allegedly cause cancer. The report also stated the honey, which the manufacturer claimed was originally produced in Egypt, could have been made in China instead based on the pollen tests performed. A similar product called Natural Honey, which was made in Taiwan by the company Ta Miaw Ko, was discovered to have two antibiotics within it that can allegedly harm fertility in men. Gilly Wong Fung-han, chief executive for the consumer watchdog, urged her government to better regulate antibiotic use in honey, stating Hong Kong has “almost zero” rules for their usage. “If we look at overseas jurisdictions like the EU and America, they don’t allow these kinds of antibiotics to be used on animals. They have also established very stringent standards and talk about acceptable daily intake,” says Wong. While New Zealand-originated Manuka honey should inspire confidence in consumers, there were sugars found in a Manuka product produced by Mossop’s. The cost is over $165 for 500 grams of honey, but nine percent of one jar was C4 plant sugar, which is found commonly in pineapple, sugar cane, and corn, per the watchdog’s tests. This is an interesting find, as international standards typically limit C4 plant sugar within honey at seven percent. This study shows that a honey being expensive doesn’t necessarily mean it is of a higher quality when compared to others, showing the importance of consumers finding brands they can trust. In responding to the council’s report, a Mossop’s representative defended their honey product, stating that a greater quantity of unadulterated, natural Manuka honey may cause a higher showing of C4 plant sugars during tests and that their product is only Manuka honey. Manuka Honey USA offers authentic Manuka honey imported directly from New Zealand. To learn more about our products or to get an order started, click here. And, remember, we offer FREE shipping on all orders of $150 or more.